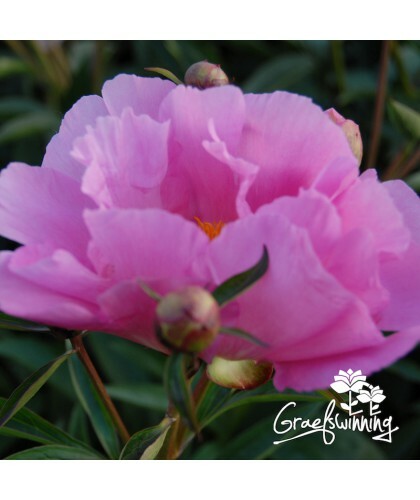 Paeonia lactiflora "Bev". 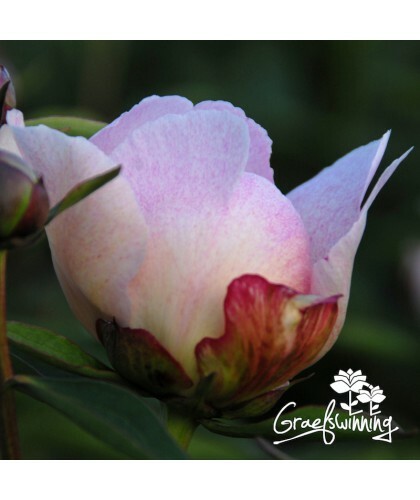 A semi-double to double flower in a dark pink tone. Petals are large and loose and turn silvery at the rim. 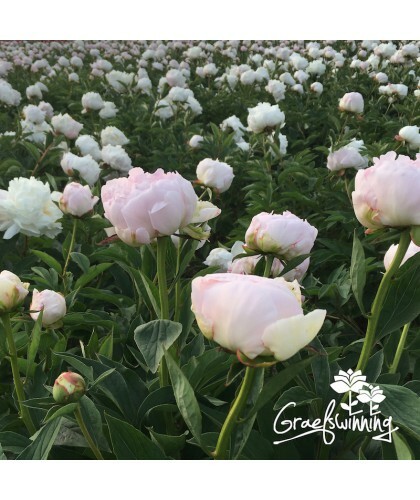 The cup shaped flowers have a lovely scent rare for peonies this early in the season. The plant has an upright habit, stems are plentiful and strong and do not require any support. A rarely offered beautiful garden plant and cut flower. More peonies by Krekler William H.